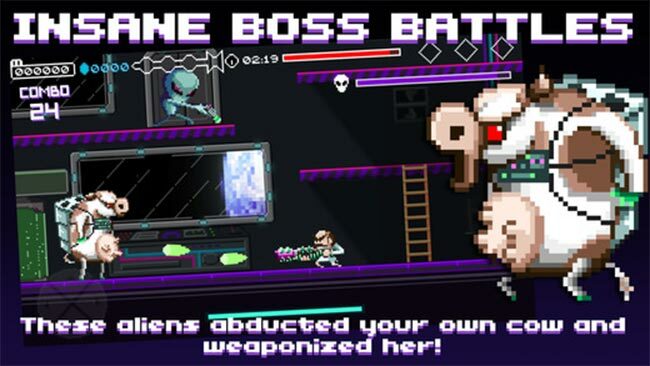 Get ready to fight your way through an alien abduction nightmare in this retro arena shooter! 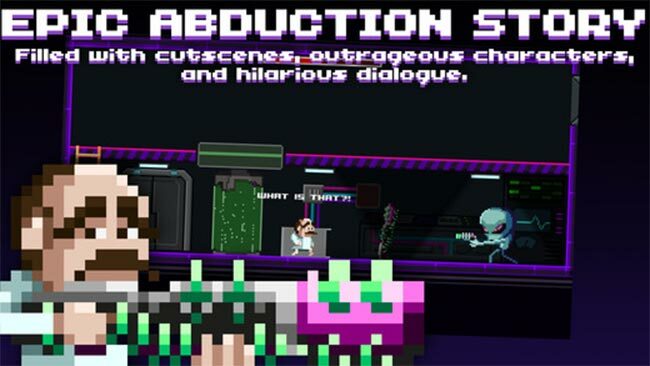 You play as a middle aged farmer who wakes up to find that you have been abducted by aliens. Wearing only a hospital gown and a pair of boxers you manage to get a hold of one of the alien weapons. Can you last long enough for rescue to arrive while taking out as many enemies as you can building an insane high score? 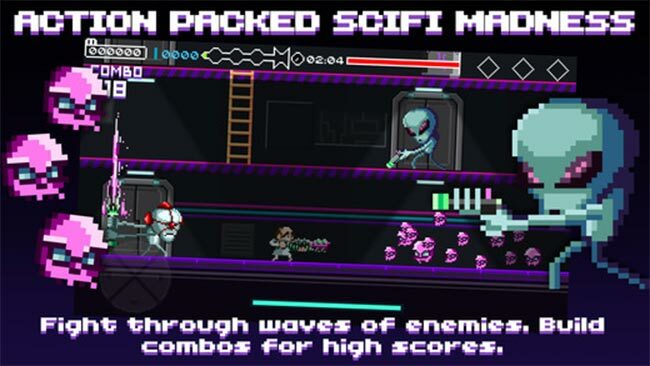 Get Me Outta Here is a title action fans and retro enthusiasts will love! It’s not that I disliked playing Get Me Outta Here. 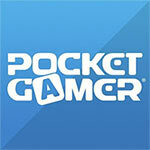 I actually think it’s a pretty satisfying pick-up-and-play action game. I like being able to decide what I may or may not what to trade-off in the name of an easier game, and when the game does what I tell it to do I’ve been able to have some enjoyable and impressive moments of action. I just really, REALLY wish the controls weren’t so moody. Get Me Outta Here has a little bit of jankiness and rough edges to it, but they don't diminish the overall experience to a great degree. This is a rather fun arena shooter, and well worth a download at the very least, though you'll get a ton of fun out of the full game unlock if you indulge in it. 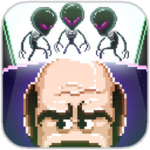 If you are looking for a retro arena-based arcade shooter that has some humor thrown into the mix, then you should check out Get Me Outta Here. Just be warned about the controls, as they need to be better streamlined. 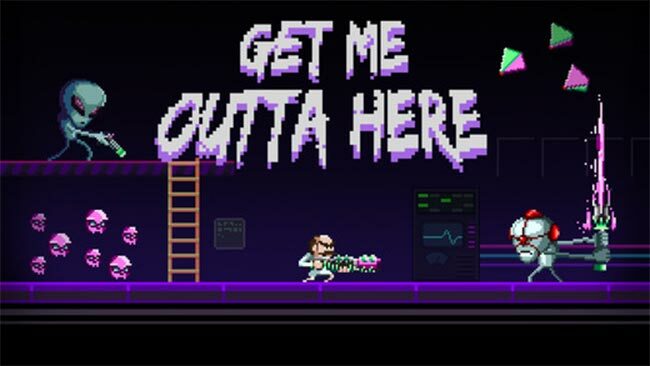 Get Me Outta Here is a solid 2-D shooter with a great sense of style. While I wish it had an option to opt for a controller, it's still a pretty good time without one. I don't think it will blow anyone away, but it's great fun that's easy enough for you to try out for free if you think it might be for you. It's fast and frenetic in all the right ways, and it makes you feel like you're getting better with every step you take. If you fancy some silly space-based slaughter then this one is definitely worth checking out. Just make sure you stick with it.